The workshop will introduce participants to the notion of “Robotic Softness”, intended as a flexible, adaptable and evolving framework for design and robotic fabrication focused on the generation of performative surface patterns in EPS foam robotically carved by an industrial robot. Standardised fabrication processes assume standard materials. But many materials are heterogeneous in nature (e.g. timber) and require careful handling in the fabrication process. Current practice imposes uni-directional progression from design to fabrication, impeding feedback between the design of the over-all solution and its specific materialisation. 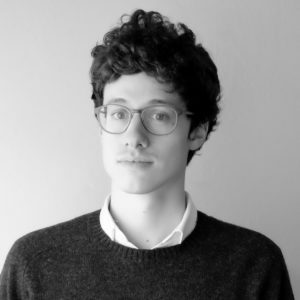 As Ph.D Candidate at The Bartlett School of Architecture in London as part of the InnoChain Research Network, Giulio Brugnaro is investigating real-time and real-matter feedback in robotic manufacturing for design. By integrating sensing with robotic fabrication his project will develop methods for analysing qualitative material feedback and simulating it as part of the design environment. The project will develop new design and fabrication processes that support persistent feedback between design intent and mechanical or compositional changes in the material. 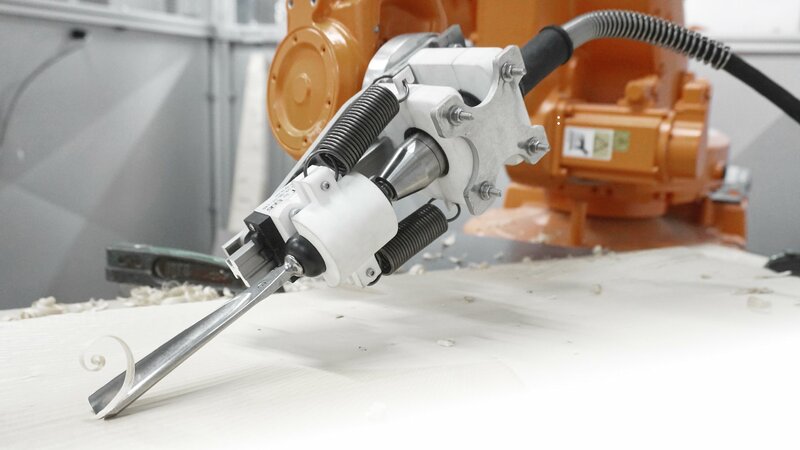 The workshop will introduce participants to the notion of “Robotic Softness”, intended as a flexible, adaptable and evolving framework for design and robotic fabrication focused on the generation of performative surface patterns in balsa wood robotically carved by an industrial robot. Design and fabrication will be directly informed through different sensing strategies, making use of motion capture cameras and 3d scanning utilizing Kinect. These prototypes will not be entirely predescribed in a digital model but will rather emerge from the constant negotiation between fabrication parameters, material properties, site conditions and design intentions. Participants need to bring their own laptops with Rhino and Grasshopper installed; other software and plugins will be distributed at the workshop. Participants would benefit from a basic knowledge of Rhino3D / Grasshopper and Python scripting. The workshop is limited to the first 15 applicants. Introduction lecture (Workshop context, aim, technology, state-of-the-art). Introduction to industrial robot control (theory + hands-on). Introduction to sensor feedback and workshop fabrication workflow. Initial design experiments in robotic pattern generations. Design experiments in robotic pattern generations. Recording data with motion capture cameras for fabrication strategies. Giulio Brugnaro is currently Marie Curie Fellow/Ph.D. Candidate at The Bartlett School of Architecture in London, UCL, part of the InnoChain Research Network. His research focuses on exploring adaptive robotic fabrication processes and sensing methods that allow designers to engage with the qualitative properties of heterogeneous materials and non-standard fabrication tools. Previously, he received a B.Arch in “Architectural Sciences” at IUAV University of Venice and a M.Sc. in “Integrative Technologies and Architectural Design Research” at the University of Stuttgart.